I have been riding with a Garmin 520 for three years now and figured it was pretty much unsurpassable. My only reservation with it was fiddly settings and short battery life… certainly in the winter when I have been running with the backlight on in order to read the screen with my slightly failing eyesight. The backlight was critical in the garage when training on the turbo. I was sceptical that a new arrival on the market could get close or surpass something which I felt had nailed the market as a product. 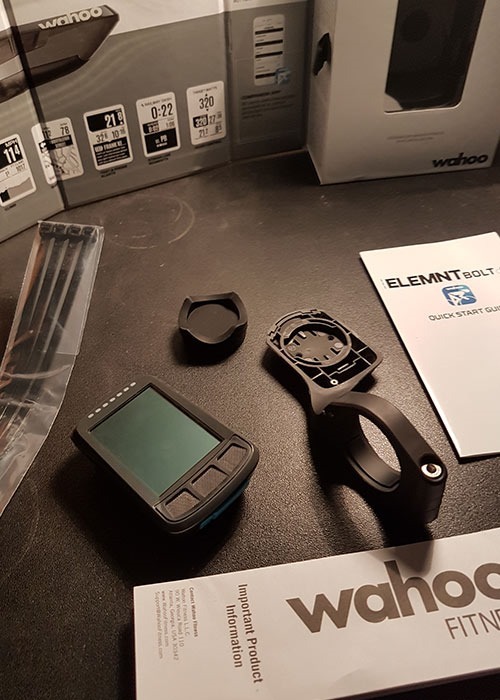 It was with this in mind that I unboxed the Wahoo ELEMNT Bolt. 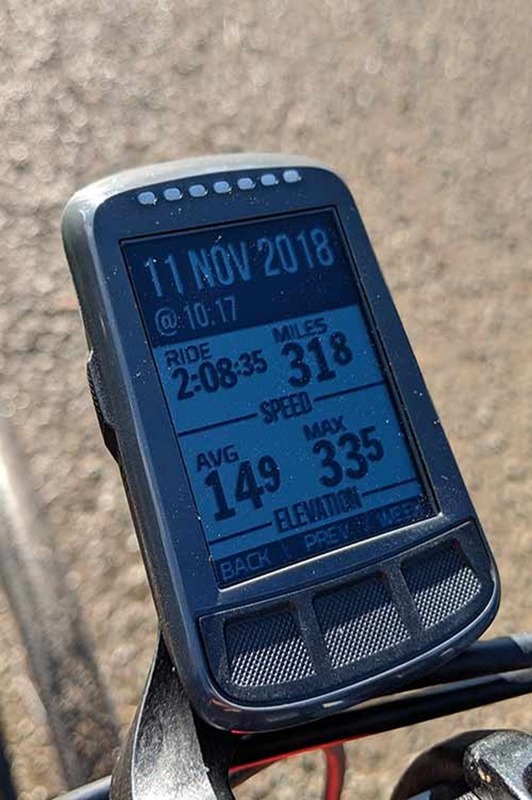 As a little context my interest in bike computers is to capture my ride data for training purposes and to give me feedback while out training… even then only when I am doing efforts. I have not bothered with navigation. Wherever I am, I ride where I fancy riding and then figure out how to get back to base. In the main this works well although from time to time it might take me longer to get home than planned. A case in point was a dehydrated ride from Newark to Peterborough last December. I also had a banging headache too, following an all too infrequent get together with some old pals. On this occasion my sense of direction was wayward and 3hrs turned into 6! The packaging of the Bolt is top end, just like the Garmin. I had high expectations. The box content look and feel were all favourable. The set up was very easy too. This is performed through an app on your phone (a Samsung S7 Edge). I scanned in a QR code and was up and running (or cycling) which was very impressive. Much more simple than I recall the Garmin being. My interest in tech is about it can help me, rather than the tech for its own sake. It synched easily with Training Peaks and Strava. I understand from other users that synching with most generally available data applications is also easy. The Bolt is fully wireless, which means there’s no need to tether up to your laptop to sync ride data, download maps, or update the software. Everything can be uploaded via WiFi, Bluetooth, or ANT+. 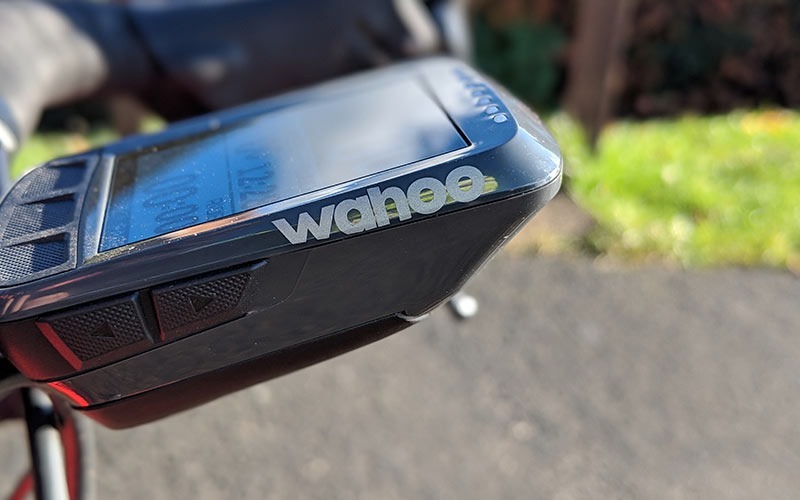 With the Bolt you simply connect to the Wahoo App and the information is transmitted wirelessly to you phone and then to your Wahoo Fitness account. It really doesn’t get any easier! The bike mount is elegant and popped onto the round bars of my climbing bike without fuss. The Bolt connected to my power meter without any effort at all. Perfect. I then tried to set it up on my Giant Propel. The Propel has a computer mount built into the cockpit area. It bolts onto the front of the stem. This was troublesome. The mount comes with a Garmin fitting, it does not have other inserts for different brands and there was no insert in the Bolt box. This needs to be addressed with more bike brands including computer mounts in the stem. The 2019 Giant Propel Advanced 2 Disc is an aero Rocket ship! Possible of propelling you to exhilarating speeds with the added control of disc brakes to create the complete Aero bike. In the name of a thorough review I then tried to pair a different power meter with the Bolt and it wasn’t interested! I changed the batteries in the power meter just in case. Nothing. Not sure why but it didn’t connect, I’d advise anyone looking at the bolt to check which power meters are compatible. In use on my road bike, the Bolt beats the Garmin 520 by some margin. My main gripe about the 520 is the size of the characters on the screen particularly when more than two fields are being used. I have set up my preferred fields on different screens and make do. On winter rides or wet gloomy days I do struggle to see the screen. The Bolt blows these issues away. The characters are big and highly visible. Once your workout screens are setup the way you like, you can increase and decrease the font size during a ride by clicking the right up/down buttons on the Bolt. As you increase the font less fields display, as you decrease the font size more fields display. Personally, I find showing 4 fields to be optimal for viewing. When you show more fields the font size gets a bit too small to see. Scrolling through the data fields on the Bolt was very easy, the scrolling button is nice an big and I found it a delight to use. 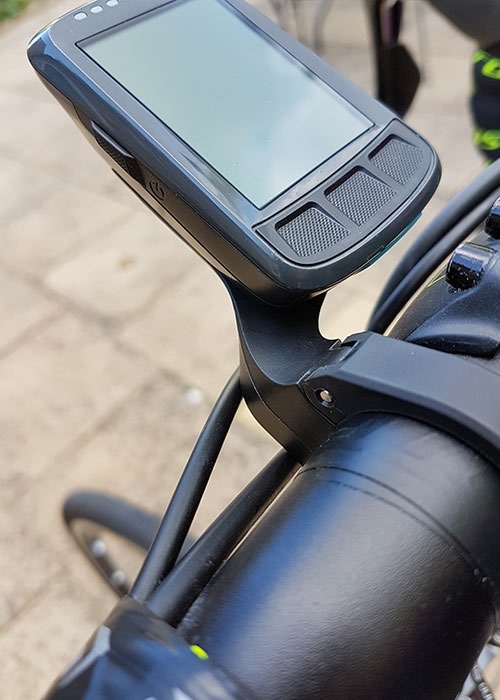 The scrolling on my Garmin is OK but the button is smaller and the presentation of the data is less comprehensive than the Bolt. 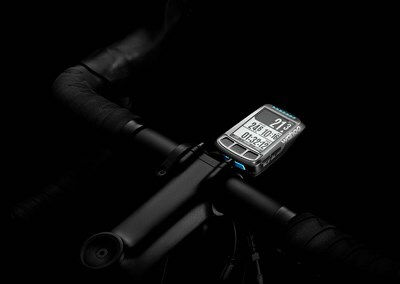 The Garmin screen is coloured and the Bolt is black and white. This does not bother me as I do not use navigation. I have now, however, tried the navigation on both ….not to actually get me anywhere but for this review. Colour screens are better but the Bolt navigation set up and use is easier than the Garmin as it comes with the maps preloaded. 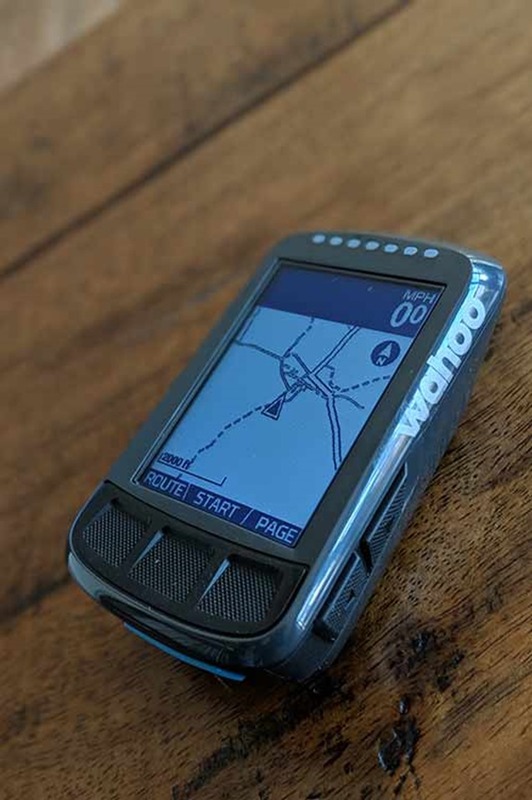 Getting maps and routes on to my Garmin was a lumpy process. The battery life of the Bolt needs to be highlighted, having used the Bolt now for three months alongside my Garmin. Both manufacturers claim 11-12hrs. My Garmin survives around 4hrs on a cold winter ride. This is with the screen on full backlit mode and with navigation running, The Bolt lasts three or four times longer. Albeit the recent riding has been in warm temperatures. After a recent four hour ride my Bolt was registering 63% power left. I rarely go out for more than three hours, so this is less of an issue for me but on a cycling trip, unless you have access to recharging each night then this might be an issue. Screen size about the same when measured diagonally. Look and feel about the same although the Bolt claims aero properties on its proprietary mount which some readers may find of interest. It is certainly an elegant looking set up. Durability about the same. 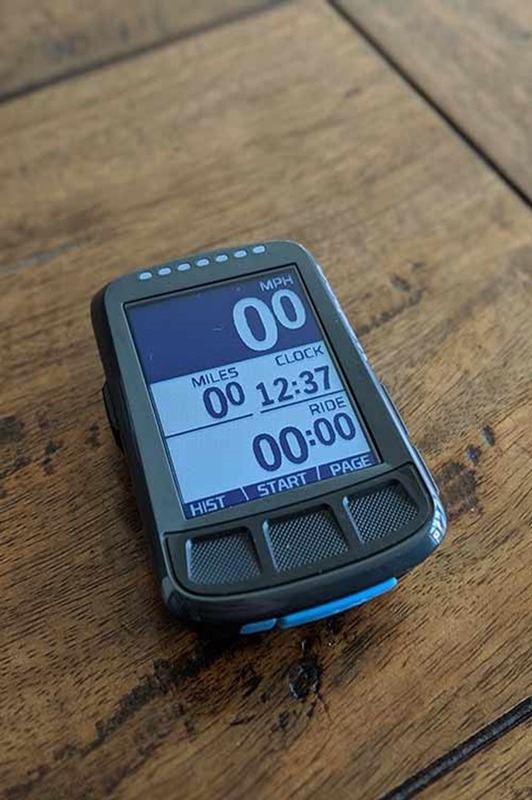 I have dropped my Garmin a few time of the years and have done the same on a couple of occasions when trying to slip it into a rear pocket with sweaty hands and both have survived with no noticeable damage. Premium product,both look and feel about the same.